Can anyone post top down pics of how high up they have their packs? I got a pallisades (ruff wear) medium pack and was too big and stat to far back for Eve. I got too good of a deal on it and had a local sign sewing shop shorten the breast straps up so it is tighter and slide the pack forward. I can take more out but want to see where everyone should properly adjust the pack forward. That's HÃ©ctor's Backpack. I had to buy the small size, because even medium size was too large for him. I think small size of this backpack, fits perfectly with an AST body. ALuengo, I disagree. That is a very poor fit for a backpack. If you see the original post on this thread you'll se some photos of a properly fit backpack and instructions on how to fit one. I have to admit. There are a lot of poorly fitted backpacks in this thread. This is the reason I personally dislike Ruffwears backpacks, they very rarely fit. 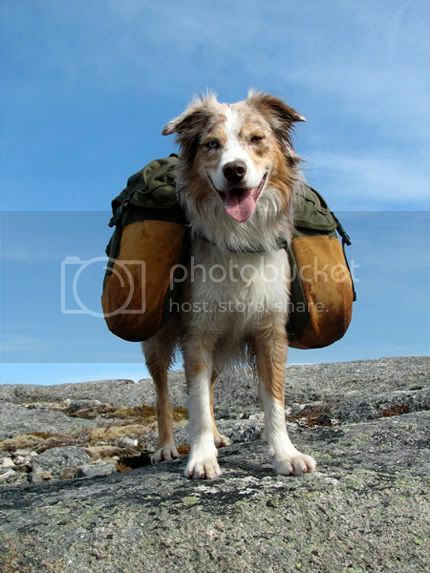 I just googled a bit to find some pictures with properly fitted backpacks and some not so good. Maybe they can help all of you fit your own backpacks better. This dog has a long back, but you get the jist. Good fit. Another one, maybe it should com a bit further down on the back butnot much. Funny picture of silly norwegians, but a good example of a poorly packed backpack. The fit itself isn't too bad. It'j just unevenly packed and is slouching to one side. Horrible fit. Backpack way too small and weightdistribution is wrong. I hope these are helpful to some of you. Pineapples wrote: ALuengo, I disagree. That is a very poor fit for a backpack. If you see the original post on this thread you'll se some photos of a properly fit backpack and instructions on how to fit one. You're right. But pictures were taken before adjust it completly. After do it, bags get more up on his shoulders. About size, I din't wrote that HÃ©ctor's backpack is only to wear weight. Just to make another physical exercise. I didn't buy it to carry food, water or anything to make a few days travel. 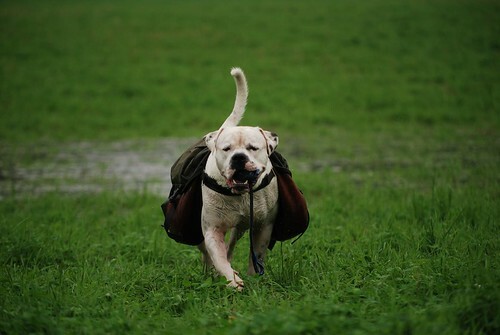 It allows to carry weight, without a huge bag each side, that makes dogs less agile. I don't know if you meant you adjusted it forward towards his shoulders? It doesn't look like you had much to go on in the first place? And I would think pulling the backpack further towards his shoulders would make the it looser over his back where it is already too loose? But of course this is my opinion only. Since there are a lot of poorly fitted backpacks in this thread and I do have some experience with backpacking I thought I would offer it. Logan HATES wearing his winter coat. Is this a good indication he would not like wearing a backpack? I have been thinking about getting Mya a backpack for when we go on walks. 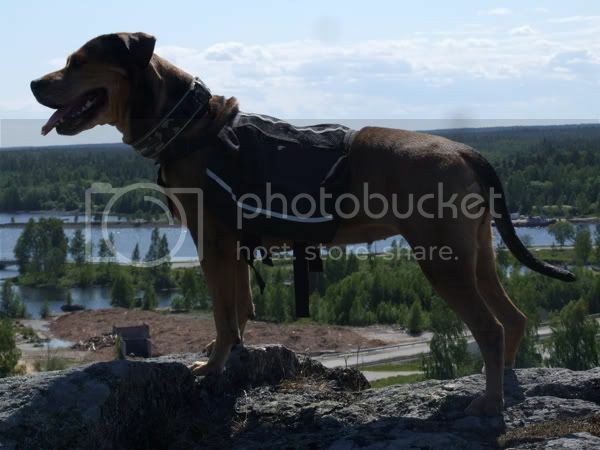 What is a good quality but inexpensive doggy backpack??? mcrslipknota7x wrote: I have been thinking about getting Mya a backpack for when we go on walks. If I were you I would keep an eye on ebay.. I have several friends who have found great buys for packs there. I just showed this to my boyfriend, this reminds me of him so much! 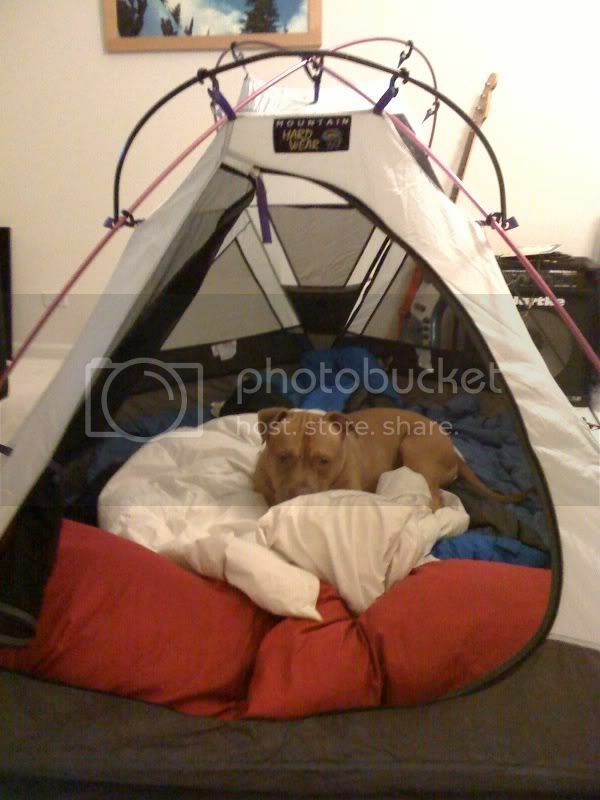 When he got his backpacking tent he set it up in his bedroom and tried it out. 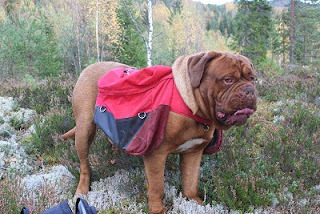 Your dog even looks like Arnold (my avatar) in that photo! Adrianne wrote: roflmao I just showed this to my boyfriend, this reminds me of him so much! When he got his backpacking tent he set it up in his bedroom and tried it out. 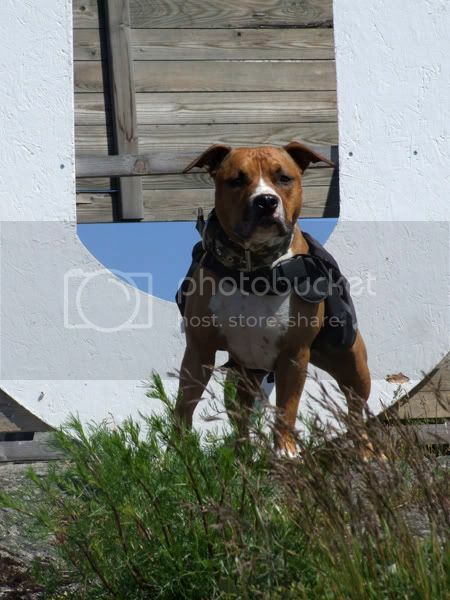 Your dog even looks like Arnold (my avatar) in that photo! Boys will have their toys! Arnold is very handsome, a mini-head version of Fez! I was curious what the dog would say about sleeping in the tent, he was a champ! Can't wait to head for a few days completely alone together! hey guys sorry if i missed the post i dont allways read every post but, is there an age for backpacking? can you just put a backpack with lets say a bottle of water on each side when they're younger?